A collection of DSA and other socialist art assets we made to use in both digital and print design. Formats include .ai, .svg, .jpg, .png, and .pdf. 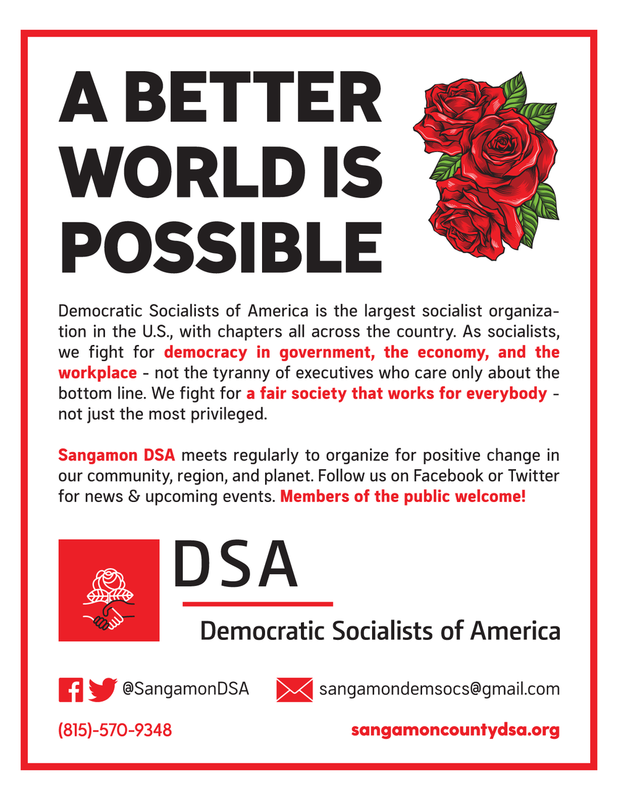 Need some Sangamon County DSA flyers to pass out at an event? We've got you covered! Sign up for our wholesome newsletter!